A gunman accidentally shot himself while climbing over a fence after attempting to kill his ex-girlfriend’s new lover, reports claim. Graphic photos showed Anibal Fernandez lifeless dR@ped over a fence in the town of General Pinedo, Argentina, after the horrific incident. Local media suggested that Fernandez had gone to the home of ex Carina Carabajal, with a .22-caliber rifle with the intention of confronting her new lover Daniel Campos who had been living there. He was said to have burst into the property and shot Mr Campos four times in the arms and chest after a heated argument. But when he tried to flee the scene, Ms. Carabajal reportedly heard a gunshot outside the building and rushed out to find Fernandez’s lifeless body perched on top of the metal fencing with a pool of blood below. Fernandez was said to have died instantly but Mr Campos miraculously survived after being rushed to the local hospital for treatment. Mr Campos remains in the Las Brenas Hospital where he is recovering from his wounds. Police at on the scene set up a cordon around the gruesome scene and screened the remains from public display. 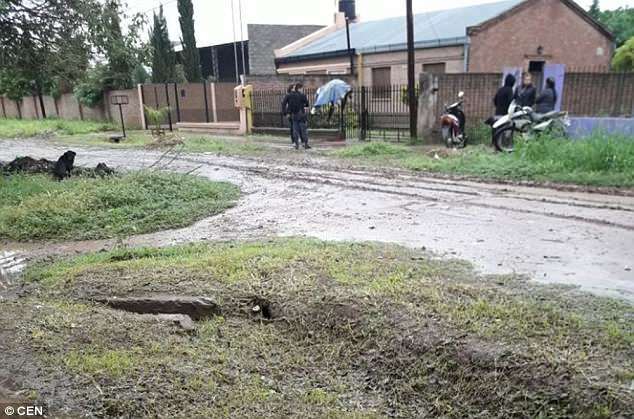 The case is under investigation by the police force of the nearby city of Las Brenas. 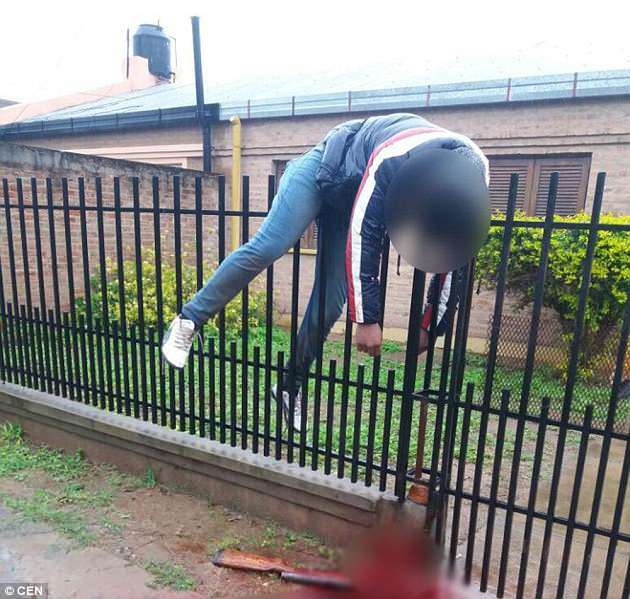 0 Response to "Gunman Accidentally Shoots Himself While Jumping Over A Fence (Photos)"